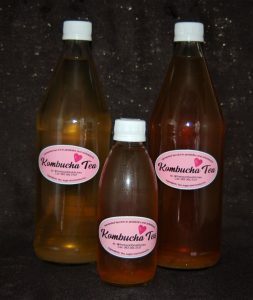 Kombucha,is a natural and thirst-quenching drink with a delightful fizz and awesome flavour! It is rich in antioxidants, prebiotics and digestive enzymes, and is a great healthy alternative to the common sugar-laden soft drinks and fruit juices. Kombucha is brewed through a natural fermentation process involving a beneficial live culture known as a SCOBY (Symbiotic Culture of Bacteria & Yeast) which is added to a sweetened tea mixture. 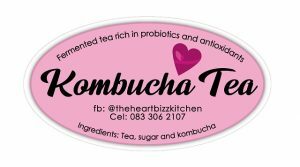 The SCOBY breaks the sugars down into beneficial organic compounds which are believed to give the beverage its numerous health benefits. An overall refreshing and tasty beverage to enjoy on any occasion! Sediment and small clumps may be present in your kombucha. This is completely normal, due to the raw and living nature of the SCOBY and its kombucha product. Feel free to strain your kombucha before drinking, if you would prefer. Your kombucha is a naturally fizzy beverage, so keep it refrigerated and avoid shaking prior to opening.